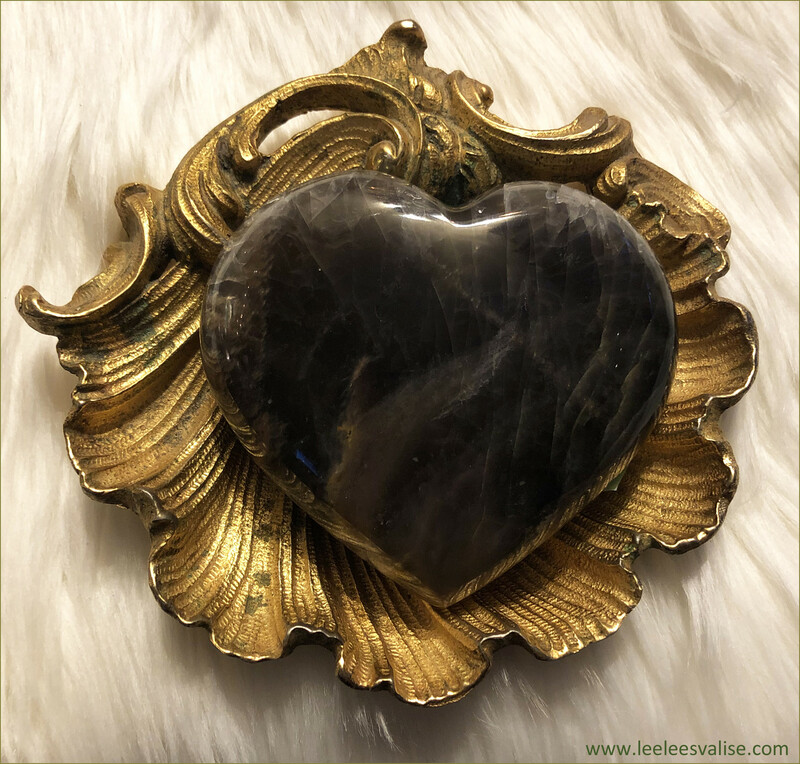 Black Moonstone Polished Heart B★ Use black moonstone alongside your labradorite at the new moon, to boost creative energies and help your vision in the darkness. 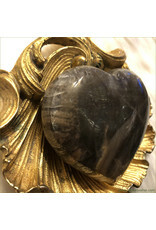 Black moonstone is truly a magical gem. It summons the energy of the new moon, a time when all things are possible. A perfect stone to use when manifesting your dreams and setting intentions. 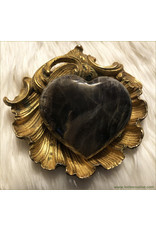 Use black moonstone for general psychic protection. 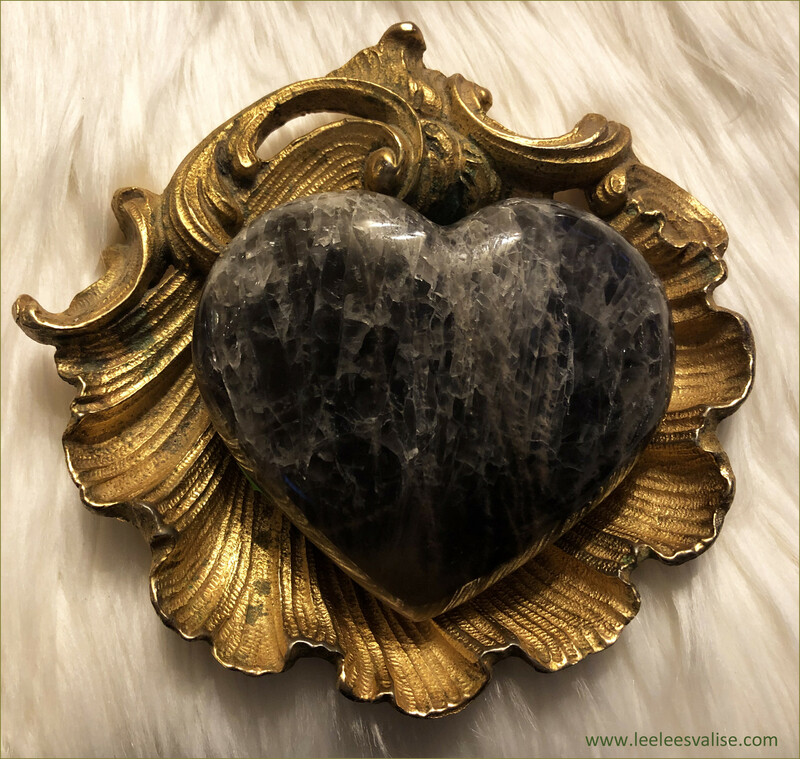 Add this Beautiful Black Moonstone Polished Heart to your Mediation Altar and Crystal Grids, or anywhere in your space. "I allow my true inner self to shine through." 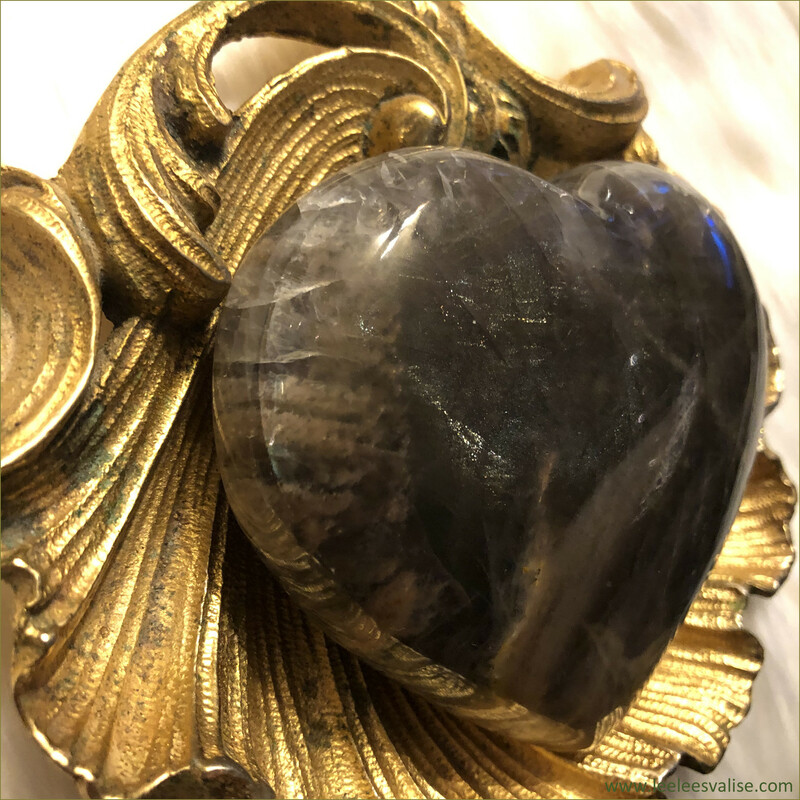 Black Moonstone is excellent for metaphysical pursuits of all kinds as it protects and opens your energy field to higher vibrations. 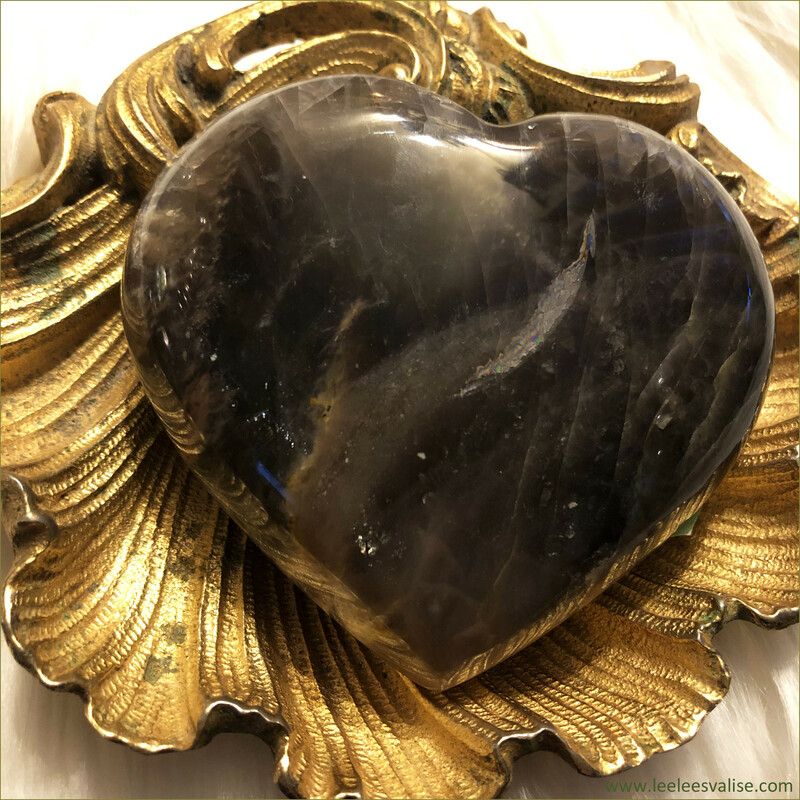 If you need a mentor or spiritual guardian, hold Black Moonstone and ask that a suitable guide comes to you from higher dimensions or in the physical realm. Holding a powerful connection to the divine feminine, it links to the transformative energy of the Black Madonna or the Magdalene. 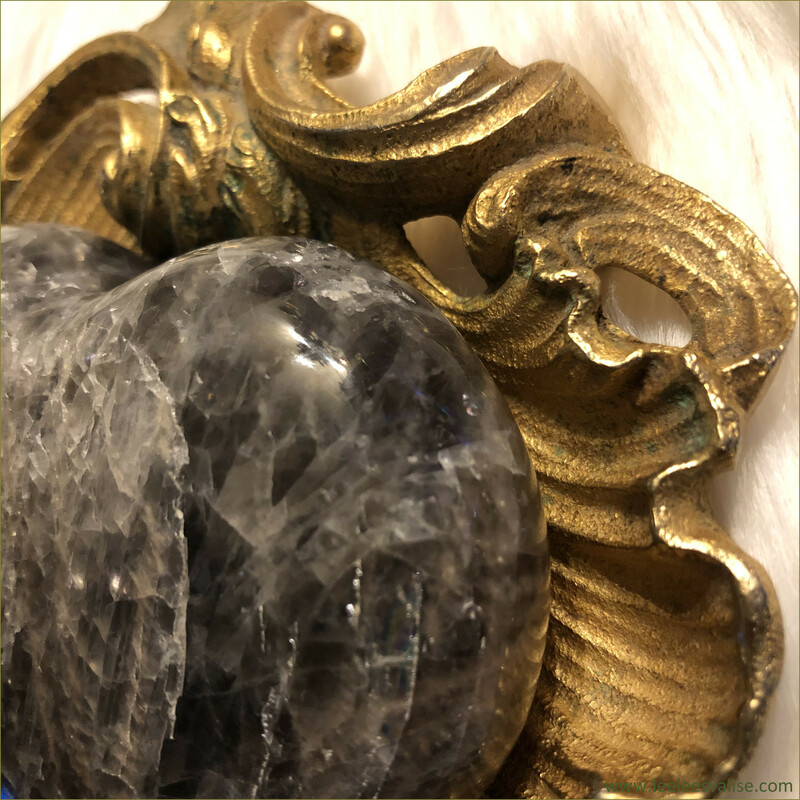 ★ History: Since earliest times, Moonstone has been a tangible connection to the magic of the moon - an amulet of protection for travelers, a gift of lovers for passion, a channel for prophecy, and a path to wisdom. Our ties to the moon are strong. As it waxes and wanes in cyclic perfection, it creates the tides and rhythms of our mother, Earth, and influences our behaviors, emotions and spiritual growth. 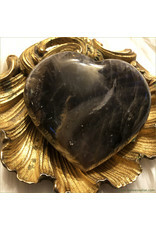 Moonstone calms and encourages, teaching us the natural rhythms of life. 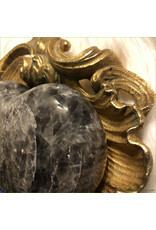 Named for its moon-like sheen, Moonstone is a Feldspar mineral exhibiting a soft, watery opaqueness and a silvery-white reflection called chatoyancy that moves as a line across the surface as light varies. This black Moonstone shows delicate shades of peach.